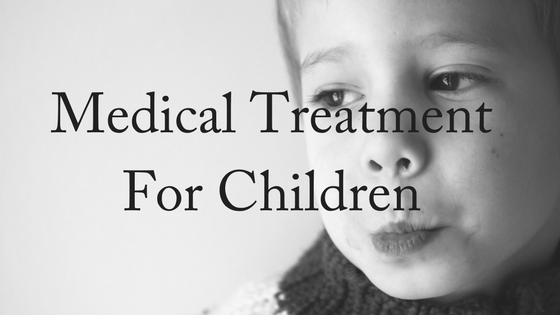 One big issue that often comes up after parents divorce is what happens when the child requires medical treatment. Should both parents be required to consent to medical treatment? What if the parents fundamentally disagree about what medical intervention should be given? Child vaccinations is one example of medical treatment that can become a contentious issue for some parents. In the United States in two separate cases, divorced parents found themselves in court due to a disagreement over vaccinations. In both matters, the mothers did not want their children vaccinated, citing religious and medical objections, but the fathers wanted their kids immunized. In one of the Michigan vaccination disputes, a court referee ordered the mother to have her 2-year-old daughter immunized after she refused to do so. In the second case, the mother was sentenced to seven days in jail for disobeying a court order to vaccinate her son. Because vaccination is a personal choice, most trial court judges do not want to decide whether a child should be immunized. But when the issue does come before the court, a judge must first look to who has authority to make medical decisions for the child and must do what is in the best interest of the child. It has been two decades since an infamous study was released that linked vaccines to autism. It has since been debunked, and a large majority of Australians strongly support vaccines, particularly for school-aged children. But there have been cases in Australia where divorced parents haven’t been able to agree to whether to have their children vaccinated. In this situation, a judge must eventually decide on what medical treatment the children will receive. In Duke-Randall & Randall, the case involved a divorced couple with opposing views on vaccination. The father wanted the children to be vaccinated. The mother opposed the children being vaccinated. The mother’s objections were based on the risks involved with vaccination. The father wanted the children immunised for their health benefit and so that they didn’t have limited opportunities. An immunisation specialist found that the children were not at a greater risk of vaccine-related harm than normal. The court ruled that the father could have his children vaccinated. A parenting plan is a useful way to set out the details of your co-parenting relationship. To create one, you and your previous partner should talk about your rights and responsibilities with regard to your child and how you will resolve any disputes if they arise. This should include how you will deal with medical situations and emergencies, and what consent must be given. Your parenting arrangements should recognise the importance of children maintaining a relationship with both parents after a separation occurs. If you can’t agree on a parenting arrangement, you may need to apply for Consent Orders from the court, where the court will issue legally binding orders regarding the custody and care of your child/ren. 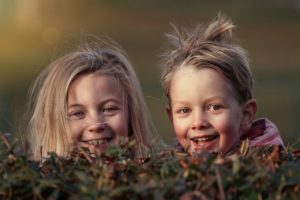 When it comes to family court proceedings, the wellbeing of any minor children involved is almost universally placed above all else in child custody disputes. The best interests of the child supersede issues like parental convenience or individual preference. there is a presumption that arrangements which involve shared responsibilities and cooperation between the parents are in the best interests of the child. The benefit to children of having a meaningful relationship with both parents. The Court is required to give greater weight to the consideration of the need to protect children from harm. If you’re having trouble finalising your parenting plans, contact us today for assistance. We offer a FREE, 10-minute phone consultation.